Just in time for Black Friday, Walgreens is introducing mobile, scannable coupons! Smartphone customers will be able to get exclusive discounts sent to their phones starting Friday November 25th, 2011. 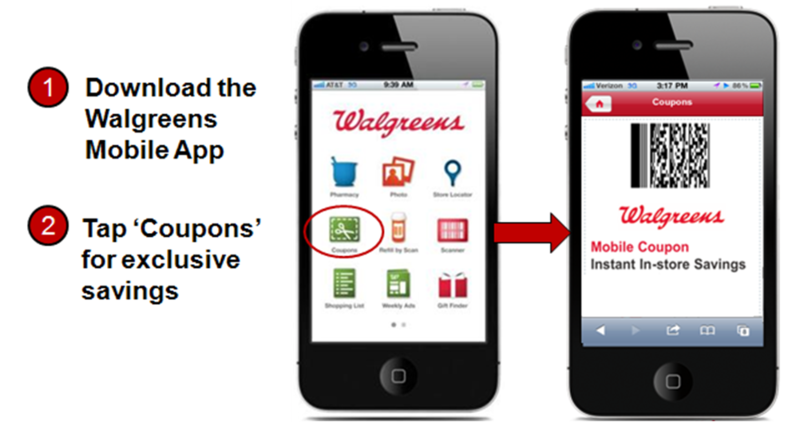 Simply download the Walgreens Mobile App, tap “coupons” and start saving! Coupons will be available one at a time with discounts ranging from $0.50-$5! These extra discounts will be offered on a variety of products through December 24th, 2011. View Walgreens Black Friday Ad and Coupon Match Ups here.